We’d love your help. 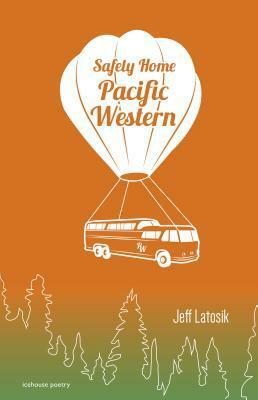 Let us know what’s wrong with this preview of Safely Home Pacific Western by Jeff Latosik. In his second collection of poems, Jeff Latosik looks to those provisional moments of arrival and anchoring in what Canadian poet Don Coles has called "the catastrophe of time." Safely Home Pacific Western is a combination of words common to travel-package tour buses, and, as the title implies, there will be journeys to be had: into ruined stretches of the rural US and Onta In his second collection of poems, Jeff Latosik looks to those provisional moments of arrival and anchoring in what Canadian poet Don Coles has called "the catastrophe of time." To ask other readers questions about Safely Home Pacific Western, please sign up. I hope the essay speaks to the intelligence and complexity of the book as a whole.